Former TOWIE star Kate Wright is living on cloud nine at the moment, following her recent engagement to former footballer Rio Ferdinand. The couple, who have been dating since January 2017, announced their happy news with some loved-up photos last week. 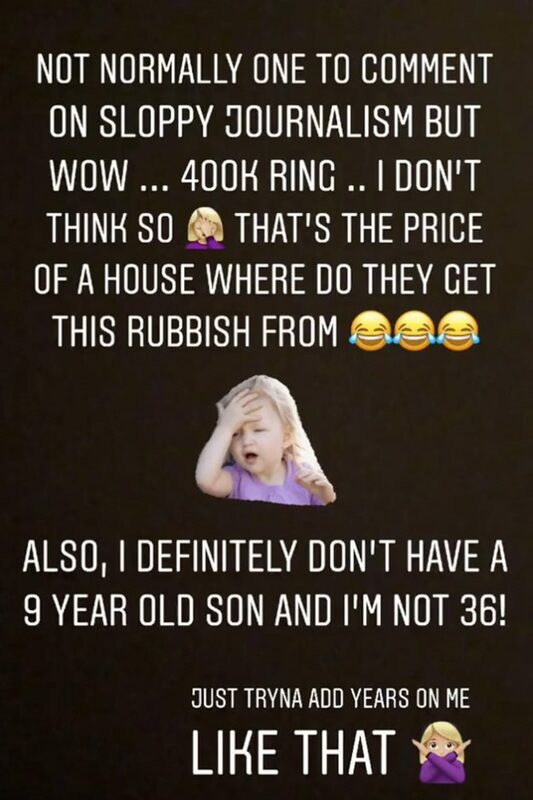 And now, after a number of publications reported that Kate's fancy ring cost a WHOPPING £400,000, the reality star has hit back in a brilliant sassy post.